England travel to the Stadion Stozice to face Slovenia in their third World Cup qualifier in Group F on Tuesday evening. 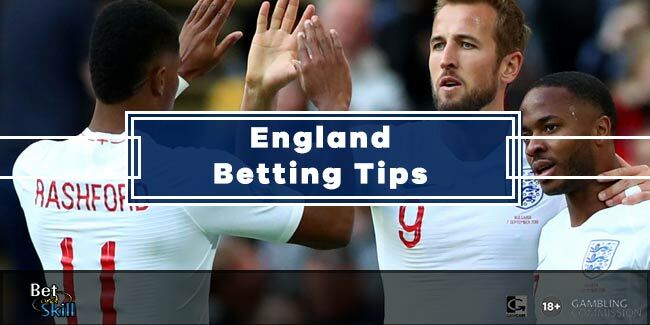 Find here our SLOVENIA v ENGLAND betting preview with predictions, betting tips, expected line-ups, team news, special odds, bookie offers and no deposit free bets on the match! Slovenia were held to a disappointing 2-2 draw by Lithuania on the opening day but they should be confident after pulling off a surprise 1-0 win over Slovakia on Saturday. That was their first competitive triumph since beating San Marino almost a year ago. Slovenia are currently third in Group F with four points from their first two games. They missed out on qualification for Euro 2016 after losing a play-off to Ukraine. England top the Group F table with 6 points from their 2 matches despite they were below par in their 2-0 win against a lowly ranked Malta last week. The Three Lions have won their last 14 qualification games, are unbeaten in 31 qualifiers in total and have kept a clean sheet in their last six. Gareth Southgate is preparing to leave Wayne Rooney out of his starting XI and Eric Dier iss likely to replace the Manchester UTD captain in the starting lineup. Marcus Rashford will be pushing for a start ahead of one of Theo Walcott or Jesse Lingard. The likes of Ryan Bertrand and Tom Heaton have been ruled out through injury as well as Phil Jagielka and Harry Kane. England and Slovenia already met in the 2016 Euro qualification group phase and the Three Lions came with a 3-1 margin at home and a 3-2 margin in the away leg. "Slovenia v England predictions, betting tips, lineups and free bets (World Cup Qualifiers - 11.10.2016)"